Description: The Executive Officer is the leader of the chartered organization (WB PTC). Comments: The Executive Officer is not required to be a BSA-registered Scouter. However, registration is recommended, and if registered the Executive Officer will have to complete Youth Protection Training. The purpose of this position is to ensure the BSA knows how to contact the leader of the charter organization. Comments: Not required to be a Scouter. If the Executive Officer registers with BSA, then Youth Protection training is required for all BSA registered volunteers, regardless of their position. New leaders are required to take Youth Protection training before they submit an application for registration. The certificate of completion for this training must be submitted at the time application is made and before volunteer service with youth begins. Attendance: You are encouraged to visit troop committee meetings and troop meetings. Description:	The Chartered Organization Representative (COR) is the direct contact between the unit and the Chartered Organization. This individual is also the organization's contact with the District Committee and the Local Council. The chartered organization representative may become a member of the district committee and is a voting member of the council. If the chartered organization has more than one unit, one representative serves them all. The Chartered Organization Representative appoints the Unit Committee Chair. Comments:	One of the 3 Key positions of the unit. 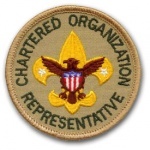 Comments: Adults citizens, or adult non-citizens who reside within the country, may register with the Boy Scouts of America in any capacity if they agree to abide by the Scout Oath or Promise and the Scout Law, to respect and obey the laws of the United States of America, and to subscribe to the precepts of the Declaration of Religious Principle. All leaders must be 21 years of age or older, except assistant Scoutmasters, assistant den leaders, assistant Cubmasters, assistant Webelos den leaders, and assistant Varsity Scout coaches, who must be 18 or older. 1. Youth Protection training is required for all BSA registered volunteers, regardless of their position. New leaders are required to take Youth Protection training before they submit an application for registration. The certificate of completion for this training must be submitted at the time application is made and before volunteer service with youth begins. Attendance:	You are expected to actively attend troop committee and Lewis & Clark Council meetings. Attendance:	Set the example by being an active Scouter. Be on-time for meetings and activities. Be available to sign Scouter applications. Type:	Appointed by the district commissioner with the approval of the council executive board. 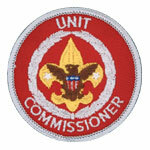 Description:	Unit Commissioners are district and council leaders who help Scout units succeed. They coach and consult with adult leaders of Cub Scout packs, Boy Scout troops, and Venturing crews. Unit Commissioners help maintain the standards of the Boy Scouts of America. They also oversee the unit charter renewal plan so that each unit reregisters on time with an optimum number of youth and adult members. Comments:	Not a member of the unit, but advises the Unit Key 3. Comments:Adults citizens, or adult non-citizens who reside within the country, may register with the Boy Scouts of America in any capacity if they agree to abide by the Scout Oath or Promise and the Scout Law, to respect and obey the laws of the United States of America, and to subscribe to the precepts of the Declaration of Religious Principle. All leaders must be 21 years of age or older, except assistant Scoutmasters, assistant den leaders, assistant Cubmasters, assistant Webelos den leaders, and assistant Varsity Scout coaches, who must be 18 or older. Attendance:	You are expected to periodically attend troop committee meetings, troop meetings, Patrol Leaders' Council meetings, outings, and service projects. Attendance:	Set the example by being an active Scouter. Be on-time for meetings and activities. The commissioner is a teacher. As a commissioner, they will have a wonderful opportunity to participate in the growth of unit leaders by sharing knowledge with them. They teach not just in an academic environment, but where it counts mostâ€”as an immediate response to a need to know. That is the best adult learning situation since the lesson is instantly reinforced by practical application of the new knowledge. The commissioner is a counsellor. As a Scouting counselor, they will help units solve their own problems. Counseling is the best role when unit leaders don't recognize a problem and where solutions are not clear-cut. Everyone needs counseling from time to time, even experienced leaders. 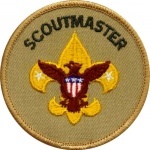 Description:	The Scoutmaster is the adult responsible for working directly with the Scouts to help them create the program for the troop. The Scoutmaster trains boy leaders to run the troop by providing direction, coaching, and support. Comments:	One of the Unit Key 3 positions. Not a member of the Troop Committee, but is expected to participate. Attendance:	You are expected to actively attend troop committee meetings, troop meetings, Patrol Leaders' Council meetings, outings, and service projects. Attendance:	Set the example by being an active Scouter. Be on-time for meetings and activities. "Be there." Conduct the Boy Scout program according to the policies of the Boy Scouts of America. Train youth leaders by conducting, at least yearly, an introduction to leadership and a team-building workshop. Conduct an annual troop program planning conference to assist youth leaders in planning the troop program. 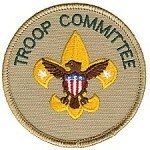 Conduct a monthly patrol leadersâ€™ council meeting to plan weekly troop meetings and conduct troop business. Conduct, through the patrol leadersâ€™ council, weekly troop meetings. Provide a minimum of 10 days and nights of camping yearly, including participation in a local council resident camp. Assist in selecting and recruiting assistant Scoutmasters to work with the new-Scout patrol and the Venture patrol for older Scouts. Work with the troop committee chair in developing a monthly meeting agenda that will address the needs of the troop. Conduct Scoutmaster conferences for all ranks. Participate in Boy Scout Leader Fast Start Training, New Leader Essentials, and Scoutmaster and Assistant Scoutmaster Leader Specific Training. Provide the necessary framework (using the BSAâ€™s Youth Protection program) for protecting the young people in your troop from abuse. See that activities are conducted within BSA safety guidelines and requirements. 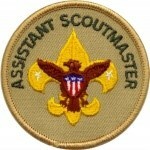 Description: The Assistant Scoutmaster is an adult leader age 18 or over who assists the Scoutmaster in delivering the troop program. Comments: Not a member of the Troop Committee, but is encouraged to participate. Attendance: You are expected to actively attend troop committee meetings, troop meetings, Patrol Leaders' Council meetings, outings, and service projects. Description: The Scoutmaster is the adult responsible for working directly with the Scouts to help them create the program for the troop. The Scoutmaster trains boy leaders to run the troop by providing direction, coaching, and support. Comments: One of the Unit Key 3 positions. Secure top-notch, trained individuals for camp membership. Description: The unit secretary is appointed by the unit committee chairman to keep minutes and records, send notices, and handle publicity. Comments: A member of the Troop Committee, but is expected to assist the Assistant Senior Patrol Leader to mentor the unit Scribe. Attendance: You are expected to actively attend troop committee meetings. Prepare a family newsletter of troop/team/crew events and activities. Description: The unit treasurer is appointed by the unit committee chairman to handle troop/team/crew funds, pay bills, maintain accounts, coordinate the annual Friends of Scouting campaign, and supervise fundraising. Attendance: You are expected to actively attend troop committee meetings and troop meetings. Handle all troop funds. Pay bills on recommendation of the Scoutmaster and authorization of the unit committee. Receive unit income each week from the troop scribe. 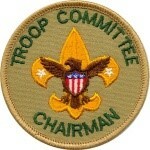 Description: The unit advancement chair is appointed by the committee chairman to ensure that the unit has at least monthly boards of review, quarterly courts of honor, and that the unit has goals of helping each Scout advance a rank each year and for new Scouts to reach First Class rank during their first year. The advancement chair is also responsible for record keeping and submitting advancement reports. Comments: A member of the Troop Committee, but is expected to assist the Assistant Senior Patrol Leader to mentor the unit Scribe and Librarian. Description: The Unit Outdoor/Activities Chair is appointed by the committee chairman to secure tour permits and permission to use camping sites, serve as transportation coordinator, and ensure a monthly outdoor program. Comments: A member of the Troop Committee. Attendance: You are expected to actively attend troop committee meetings, troop meetings, and activities/campouts. Description: The Equipment Coordinator ensures the troop camping equipment and trailer is in good repair, correctly stocked, and safe to operate. Comments: A member of the Troop Committee, but is expected to assist the Assistant Senior Patrol Leader to mentor the unit QuarterMaster. Attendance: You are expected to actively attend troop committee meetings troop meetings, and campouts. Description: The unit training chair is appointed by the committee chairman to ensure training opportunities are available, maintain training records and materials, and is responsible for BSA Youth Protection training. Attendance: You are encouraged to actively attend troop committee meetings and troop meetings. Description: The unit membership chair is appointed by the committee chairman to help ensure a smooth transition of new Scouts into the unit and orientation for new parents. Attendance: You are encouraged to actively attend troop committee meetings troop meetings, and campouts. Work closely with the Cubmaster and Webelos den leader of neighbouring Cub Scout packs to provide a smooth transition from pack to troop. Assist in developing and recruiting den chiefs, and assist in the crossover ceremony from Webelos Scouts to Boy Scouts. – Plan and coordinate a troop open house to invite non-Scouts into the troop. Description: The Religious Emblems Coordinator ensures Scouts understand the religious emblems sponsored by the Scout's faith background and encourages them as they work toward completing those requirements. Comments: A member of the Troop Committee, but is expected to assist the Assistant Senior Patrol Leader to mentor the unit chaplain's aide. To encourage members to grow stronger in their faith, religious groups have developed the following religious emblems programs. The Boy Scouts of America has approved of these programs and allows the emblems to be worn on the official uniform. The various religious groups administer the programs. Check with your local council service center or contact the religious organization directly to obtain the curriculum booklets. Listed at MeritBadge.Org are the emblems and where to find out about them. Before writing or visiting your local council service center, check with your religious leader. Help Scouts earn Protestant or Catholic Scout Awards. Acquaint all youth members with the BSA religious emblems program and the emblems available from their faith group, and encourage them to earn the religious emblem(s) of their faith. Description: The Order of the Arrow coordinator encourages the troop to have an active and productive participation in the Nisha Kittan Lodge. Comments: A member of the Troop Committee, but is expected to assist the Assistant Senior Patrol Leader to mentor the unit OA representative. Experience:Must be a member in good standing of the Order of the Arrow. Assists the OA troop/team representative so that he might succeed in his role as the communication and programmatic link between the unit and the lodge or chapter. Ensures the OA ideals and activities are part of the unit’s program. Supports the youth, helping him to fully understand the needs of the unit and the elements of the lodge and chapter structure that are responsible for support to the unit. Promote recognition of members who have completed their Ordeal, achieved brotherhood, or been inducted into the Vigil Honor membership within the unit. Helps explain and promote the values and benefits of the order of the arrow elections, induction, and membership to youth members, parents, and adults in the troop/team as a significant component of the scouting experience. Ensures that the youth representative has the necessary transportation to get to and from order of the arrow activities. Participates actively in the troop/team calendar planning process to help minimize overlap between full chapter or lodge events and troop/team program. Assist the OA youth representative and providing feedback to the lodge or chapter the reaction of the unit and it's OA members to the success of the OA programs which affect the unit, including ordeals, unit elections, callouts, camp promotion visits, meetings, and service projects. Sets a good example and lives by the Scout Oath, Scout Law and OA Obligation. This individual can be an assistant scoutmaster at least 21 years old and an Order of the Arrow member in good standing who was appointed by the scoutmaster with the unit committee chairman's approval. Description: The Troop Webmaster ensures the troop website is engaging, up-to-date, in good repair, and safe. Comments: A member of the Troop Committee, but is expected to assist the Assistant Senior Patrol Leader to mentor the unit Webmaster. Monitor the troop email address. Mentor the Scout WebMaster in his duties. Description: The unit chaplain is appointed by the committee chairman to provide spiritual tone, guide the chaplain aide, give spiritual counselling, and promote the regular religious participation of each member. Coordinates with and mentors the Religous Emblems Coordinator. Description: The Boy Scout Troop Committee is responsible for conducting the business of the troop, setting policy, and helping the Scoutmaster and Scouts with the outdoor program and other planned activities. The committee also has the responsibility to provide adults for boards of review. This is an important responsibility and is one area where help is always needed and appreciated. The committee consists of parent volunteers who fulfill various roles on the committee. Comments: A chartered Boy Scout troop requires a Chartered Organization Representative, a Committee Chairman, at least two committee members, and a Scoutmaster. Chartered Organization Representative: The Chartered Organization Representative is the direct contact between the unit and the Chartered Organization. This individual is also the organization's contact with the district committee and the Local Council. The chartered organization representative may become a member of the district committee and is a voting member of the council. The Chartered Organization Representative appoints the unit committee chair. Troop Committee Chairman: The unit committee chair is appointed by the chartered organization and registered as an adult leader of the BSA. The unit committee chairman appoints and supervises the unit committee and unit leaders. Troop Secretary: The unit secretary is appointed by the committee chairman to keep minutes and records, send notices, and handle publicity. Troop Treasurer: The unit treasurer is appointed by the committee chairman to handle unit funds, pay bills, maintain accounts, coordinate the annual Friends of Scouting (FOS) campaign, and supervise fundraising. Troop Advancement Chair: The unit advancement chair is appointed by the committee chairman to ensure that the unit has at least monthly boards of review, quarterly courts of honor, and that the unit has goals of helping each Scout advance a rank each year and for new Scouts to reach First Class rank during their first year. The advancement coordinator is also responsible for record keeping and submitting advancement reports. Troop Equipment Coordinator: The unit equipment coordinator is appointed by the committee chairman to work with the youth Quartermaster and is responsible inventory, storage, and maintenance of unit equipment. Troop Outdoor/Activities Chair: The unit outdoor/activities chair is appointed by the committee chairman to secure tour permits and permission to use camping site, serve as transportation coordinator, ensure a monthly outdoor program. Troop Membership Chair: The unit membership chair is appointed by the committee chairman to help ensure a smooth transition of new Scouts into the unit and orientation for new parents. Troop Training Chair: The unit training chair is appointed by the committee chairman to ensure training opportunities are available, maintain training records and materials, and is responsible for BSA Youth Protection training. Troop Public Relations Chair: The unit public relations chair is appointed by the committee chairman to inform parents of their responsibilities in Scouting and with the chartered organization. Provides news and announcements about the unit to newspapers, bulletins of sponsors, web sites, etc. Promotes and stimulates service projects, Scouting Anniversary Week, Scout Sunday or Scout Sabbath, and family participation in unit events. Promotes new membership and lets people in the neighborhood know that Scouting is available. Troop Friends of Scouting (FOS) Chair: The unit Friends of Scouting chair is appointed by the committee chairman to work closely with the unit committee on public relations for FOS; conducts annual FOS campaign to enroll family members and adult leaders in FOS; gives recognition to contributors and enrollees. Troop Scouting for Food Chair: The unit Scouting for Food chair is appointed by the committee chairman to coordinate an annual food drive for the unit and reports the result to the district. Troop Fundraising Chair: The Unit Fundraising Chair, also called the "Popcorn Kernel" in some councils, is appointed by the committee chairman to supervise Fundraising and ensure that every youth member has the opportunity to participate in Popcorn sales or other council Fundraising events. ScoutParent Unit Coordinator: The ScoutParents Unit Coordinator is an appointed member of the unit committee or can be an assistant unit leader. Their job is to welcome parents, keep them informed, and encourage them to help with at least one specific task or project each year. Larger units might choose to have more than one ScoutParents unit coordinator. The ScoutParents unit coordinator position became official June 1, 2008 and the position code is "PS." The ScoutParents unit coordinator must be at least 21 years old, complete an adult application, and pay the same registration fee as other adult leaders. Find Fast Start Training for unit coordinators online. Newly printed youth applications also mention the ScoutParents program. A checkbox in the parent section lets parents commit to being active ScoutParents. By entering an e-mail address, they can receive information from council, district, and unit leaders about ways to get involved. ScoutParents.org web site. Troop Chaplain: The unit chaplain is appointed by the committee chairman to provide spiritual tone, guide the chaplain aide, give spiritual counselling, and promote the regular religious participation of each member. Description: Every eligible parent or guardian of a Scout is highly encouraged to be active in their Scouting experience. Your boy will go where he sees you looking! By registering as a Scouter, you are covered by Council insurance, it makes our trip paperwork easier, and you help us validate our Scouts are safe and secure. Comments: As part of our ongoing efforts to strengthen the protection of youth in our programs, the select designation of parents of youth members in traditional programs as "ScoutParents" will end effective July 1, 2013. BSA literature, forms, and processes are being revised to match this change in program. Councils should encourage current "ScoutParents" to now officially register as paid adult volunteers or leaders if they are not already so registered. To help facilitate this, the Unit Scouter Reserve position (91U) has been created for supportive adults who have no immediate, specific leadership role. Like all registered BSA adult positions, this new role will require a criminal background check and the completion of Youth Protection training. The position of unit ScoutParent Coordinator (PC) will remain a registered position with the name changed to Parent Coordinator. Youth Protection training is required for all BSA registered volunteers, regardless of their position. New leaders are required to take Youth Protection training before they submit an application for registration. The certificate of completion for this training must be submitted at the time application is made and before volunteer service with youth begins. Attendance: You are encouraged to attend troop committee meetings and troop meetings. Uniform: You are encouraged to participate in uniform. Attendance: Set the example by being an active Scouter. Be on-time for meetings and activities. Volunteer for specific responsibilities/troop jobs. Get qualified and connected via BSA training.